HBO has reached over 5 million online subscribers in the US, according to Bloomberg. 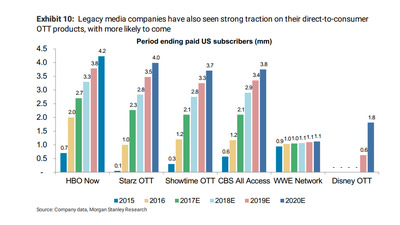 The company has more than doubled its online subscriptions in the past year, in part by making its content available to Amazon and services like DirecTV Now. 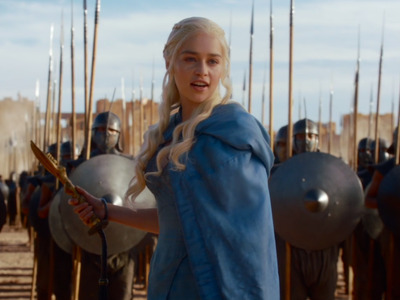 HBO’s subscription revenues increased 11% in 2017, according to a year-end earnings report from its parent company, Time Warner Inc.
HBO has more than doubled its number of online subscriptions in the past year, reaching over 5 million online subscribers in the US, according to a report from Bloomberg’s Gerry Smith. The network’s online growth has reportedly been driven in part by making its content available to Amazon users and online-TV streaming services like DirecTV Now. While around half of the network’s subscriber growth in the past year came from its standalone streaming service, HBO Now, the other half came from new users to the network who signed on to HBO through its Amazon channel or application add-ons to streaming TV packages like DirecTV Now. Time Warner Inc., which owns HBO, saw its revenue increase 7% in 2017, while HBO’s subscription revenues increased 11% over the year, according to a year-end earnings report. “Led by its great content, Home Box Office delivered its highest increase in domestic subscribers ever in 2017 and its best subscription revenue growth in over 20 years,” Time Warner CEO Jeff Bewkes said in a statement for the earnings report. 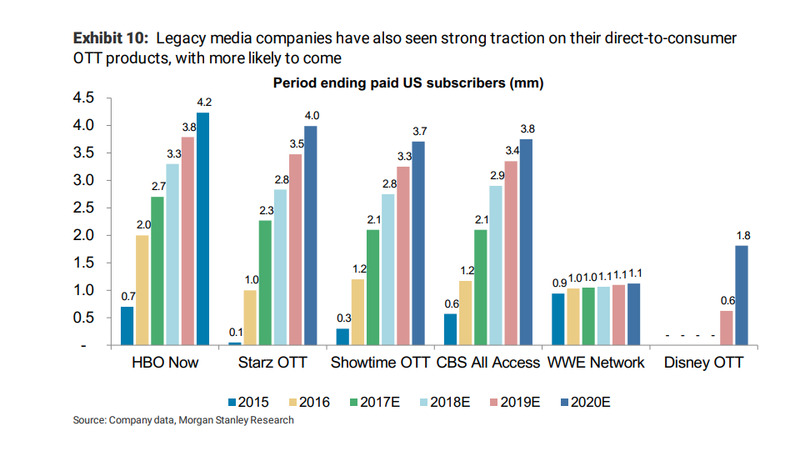 HBO Now, the company’s direct-to-consumer streaming service, is currently outpacing the products of its cable and legacy media competitors in domestic subscribers, according to a recent report from Morgan Stanley.